I know, I know…. It seems like it should be relatively simple to take back roads when you travel. It also seems like this is a blog that I should have written in 2013, back when I first got started. But I’ve learned quite a bit over the past several years of travelling on back roads, and continue to learn more each year about how to maximize my travel experiences. Occasionally, it can be as easy as switching your Google Map directions to “Avoid Highways.” But if you want the full experience of getting off the highway and exploring the countless back roads this country has to offer, there are a few pointers and suggestions I’ve learned over the last five years. I would like to start off, however, with a very simple tip that applies universally: take your time and enjoy your trip, no matter where you are going. 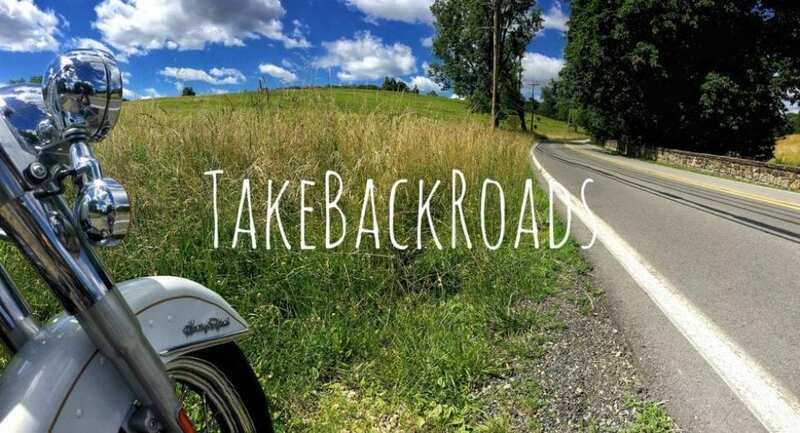 The entire purpose of Take Back Roads is to make your driving experience, every driving experience, more relaxing and more enjoyable. If your sole intent is to get where you are going as quickly as you possibly can, you’re probably on the wrong website anyway! I have to be honest here… I searched all through my phone and couldn’t find a single picture of a traffic jam. It’s not thta I haven’t been in one from time to time… it’s just not something that I experience hardly ever anymore. I have the advantage of heading the opposite direction of most commuting traffic, but I also am very intentional to go around most backups I might experience. That being the case, you are in dire need of some back road meditation during your commute, especially on your way home. There’s no better way of relaxing after a difficult day at work than to incorporate a meandering jaunt along some traffic-free back roads… and the further out in the country you can get, the better. But how? The idea is so simple that it seems almost silly: explore routes to and from work that you’ve never taken before. Yeah, “Avoid Highways” on Google Maps is helpful, but it’s far better to experience the road in person to know for sure. Before you leave the office one evening, take a peek at Google maps with your Traffic indicator on. Look for alternate roads that track in a similar direction as the highway(s) you would normally take that are indicating green (clear) traffic… and the curvier the road is, the better off you’ll be! One thing to be aware of: if you see a road that has alternating stretches of green with dashes of red along the way, that’s often an indicator that the road has a lot of stop lights. Avoid this if possible! THIS is the kind of commute you should be seeking! A great way to prevent this aggravation is to find roads that bypass town entirely and have the fewest number of major intersections along the way. The more major roads that your potential route intersects with, the greater the probability is of you running into a lot of stop signs and traffic lights along the way. Another way to find relaxing back roads options for your commute is by finding interesting shops, restaurants, or taverns along the way you want to check out. Save some portion of your weekly shopping – bakery, butcher, winery/brewery/distillery, etc – to pick up fresh on your way home from work. This naturally forces you to leave the highway for a bit, and the obvious added bonus of having fresh bread/cheese/beer/etc for dinner will be a huge perk! Over the river and through the woods, to grandmother’s house we go! Totally cliché, I know, but we tried that exact route a few years ago coming home from my parents’ house after the Thanksgiving traffic on the highways AND byways became a snarled mess of accidents and brake lights. Our typical route to and from my parents’ house is a blend of highways and byways that I’ve developed over years of experimenting with different options. That particular year involved especially bad traffic for whatever reason, meaning that both the highway and back roads that we typically used were clogged with cars. We ventured especially far out on a limb to get around that logjam, winding up on a couple incredibly scenic (and incredibly slow) forest service roads that provided some great photo ops…. but were definitely NOT faster! If you have the time, experimentation is honestly the best way to discover the your favorite route for holiday travel to see family and friends. It’s a trip that you’re likely to make at least once or twice a year – so why not try out different options? Not only will you discover a lot of really fascinating places to eat or shop, but you almost certainly will have a more relaxing and scenic trip both ways. In many cases, Interstate Highways (the blue & red shields) were built running mostly parallel to older US Routes (the white shields with black lettering), allowing for higher volumes and a faster pace of traffic along those routes. For example: I-70 was built to replace US Route 40, I-95 was built to replace US Route 1, and so on. These underappreciated US routes are a great place to start when building your alternative route. However, these US Routes are not always going to be your best option. When traffic backs up on the Interstate, because most US Routes run parallel, they often are the first place most travelers will try in order to avoid the congestion. They also often run through smaller cities and towns along the way. While this can provide you with hours of distractions and places to explore, it also can add significant travel time to your road trip from the busy roads and frequent traffic lights. This is where it helps to be familiar with using a map, whether the old-fashioned map books I grew up using or the easily manipulated Google maps app on your phone. (If you’re not comfortable with reading a map, here’s a good place to start learning. If you get lost – especially with no cell signal – this will be an invaluable skill.) As I suggested above, start scoping out potential route options a week or two before you’re supposed to leave. If you’re using your phone, keep an eye out for those tell-tale red dashes that indicate heavy or stopped traffic. More importantly, start looking for routes that head in the general direction of your destination. More often than not, by alternating between the US and State routes, you will find a more direct trip that involves fewer miles driven. And like I mentioned above, as much as is realistically possible, try to avoid roads that have a large number of major intersections – or at the very least, have long stretches in between the major intersections. The longer you can go without a stop light, the happier your trip will be! I definitely saved the best one for last. Taking extended road trips to relatively distant destinations using mostly back roads is one of my favorite things to do, traveling or otherwise. More than just a way of avoiding aggravation or experiencing relaxation, taking long back road adventures is a phenomenal way to truly experience this country. The things you will see, and hopefully the people you will meet, will provide you with an in-depth feel for who we are as a nation, along with a greater appreciation for the history of how we got there. In fact, the foundation of this website, and the ideas that have been built up around it, originated on a the final leg of a nearly 900 mile road trip back in 2013. There are two primary types of long-distance back road adventures: traveling back roads to reach your vacation, or taking a long and rambling road trip with minimal planning or destinations in mind. Taking back roads to and from your vacation is basically the same as taking them to see family or friends around the holidays. In most cases, the biggest difference between the two is the distance that you’re traveling (and occasionally, the frequency of the trip). The further away your destination is, the more that the length of time your vacation can be comes into play. If you are taking the standard Saturday to Saturday vacation, you will be best suited to chart a course that blends time on the highway with time navigating back roads. As much as possible, schedule the highway portion of the drive for after dark – you won’t be missing much scenery that way, and by the time it’s dark you will likely just want to get to your destination. If that’s not possible, I recommend using satellite and/or topographical maps to familiarize yourself with the sections of the drive you’ve not experienced before. This will help you to determine which stretches you want to take on the highway vs. the back roads. Personally, I prefer to take the most scenic portions on the back roads, as the pace is slower and more relaxed – better for viewing the beauty surrounding you! If you have a shorter drive to make or a substantial amount of time available to get there, I recommend taking as much of the drive on back roads as you can. Build unique stops into your route – historical venues, interesting restaurants, local wineries, breweries, and distilleries, or perhaps even a factory tour. Regardless of whether you go the blended route or all back roads, I strongly recommend that you take different routes heading out and coming home – even if you absolutely love the experience you had on your way to vacation. The advantages are obvious: different scenery, different shops, different restaurants, different experiences. With adequate planning beforehand, I suspect that you will find excellent journeys in both directions! On a back road journey of this nature, you have the freedom to make the trip into whatever you want it to be. You are only bound by the limitations of your imagination, and the amount of time and money you have available to travel. Crafting a trip around an idea or theme as opposed to a location may just wind up being the trip of a lifetime. As beautiful as this view was, what captivated me the most while sitting here and drinking it all in was the complete lack of manmade sound. It was the first time in my life I ever experienced that. More than any of the other trip options, a back road adventure with no specific destination in mind is best-suited for traveling with friends instead of family. When traveling with friends, the time spent together is as enjoyable as the various activities you experience along the way. Sure, that’s also true when traveling with your family. But if something goes wrong, or if you don’t find the fascinating adventures you hoped for along the way, you and your friends are far more likely to have a good time together regardless. There are two key skills that you will need in order to have the best trip possible: reading a map and being flexible and open-minded. Reading a map is a critical skill for a trip like this to be successful. Obviously, the ability to read a map is a lifesaver if you get lost. More importantly, though, a tool like Google Maps is especially useful for finding and choosing various excursions and opportunities to explore along the way: in addition to providing route information, Google Maps highlights a massive and dynamic number of attractions across America. All sorts of parks, historical sites, restaurants and retail shops, adventure experiences, and a multitude of other types of interesting venues are highlighted in every county of every state. A plethora of information about each is available with the click of a mouse: ratings and reviews, hours open, websites, pictures, and much more! Don’t get overly committed to any particular excursion, though: flexibility around your schedule and goals is the other important factor in maximizing your experience. Some of the most incredible experiences I’ve had while traveling were completely unplanned and unexpected. I am fortunate enough to have learned this early in my traveling life. After graduating from High School, my best friend and I drove across America and back over the span of about five weeks. Though we took mostly highways on the trip (go easy on me – we drove over 9,000 miles, and this was a long time before the idea of Take Back Roads was born! ), we quickly realized that any time we saw something interesting, we should jump off our planned route to explore it. Some of our favorite memories happened in those moments when we took some random exit in the middle of nowhere and found some quirky roadside attraction. The ability to adapt on the fly by taking side trips and unplanned expeditions will drastically improve your journey. Back in 2016, my German friends Dirk & Dirk (yes, really) invited me to join them on a West Coast road trip they were taking. We decided on meeting in Las Vegas, as my flight would be inexpensive, and it was a convenient drive for them from their from their origination point (LA). As I discussed in “Dead Bodies in the Desert,” not a whole lot of planning took place prior to the trip. There were a couple popular destinations we wanted to hit – Grand Canyon and Zion National Parks, for instance – but outside that, the trip was mostly a blank canvas. While excitedly scanning Google Maps in the days leading up to the trip, I found a very curious marker along the Colorado River south of the city: Nelson’s Landing Cliff Jumping. I’ll skip the full story in the interest of time, but that quick scan of Google Maps led to two incredible experiences in the same day – jumping off a 20+ foot cliff into the broad blue expanse of the Colorado River, and discovering and exploring the Ghost Town in Eldorado (the location of which is on the screenshot above) on our way there. So make sure that you and your travel companions are all on the same page about this up front. Communication and understanding is key to making flexibility work within a group. Having a joint conversation where everyone shares their priorities before you leave is a good way to make sure that nobody feels frustrated, annoyed, or ignored while out on the road. No matter how big your vehicle, tent, hotel room, or rental house may be, it will feel very small if there’s tension between travelers. Routes with three or four digit numbers tend to be excellent – I don’t know how or why this works, but way more often than not, it does. The historical routes, such as Route 30, 40, or 66, tend to have a TON of fascinating and quirky things to see along the way. Take your time. Be prepared to take your time. Occasionally, it really is fun to speed through those twists and curves… But still, take your time. And allow yourself extra time – you never know when you’ll get deeply involved in an hour-long conversation with your neighboring table at lunch. Local road names, especially out in the boonies, tend to have very descriptive names… for a reason. If a road’s name is descriptive and sounds interesting… take it. If you see something interesting along your route, stop and explore it. If you see a store that grabs your attention, stop and shop there. If you see a view that you want to capture, stop and photograph it. If the parking lot of a restaurant is empty during normal mealtime hours, consider that to be the same as a bad review on Google or Yelp. Outside of normal mealtimes, it means nothing. Just because a diner, BBQ Stand, cafe or other restaurant looks dingy, doesn’t mean the food isn’t phenomenal. In fact, especially in the case of BBQ roadside stands – the dingier the shack, the better the meal tends to be. And while we’re on the topic of roadside BBQ, if you are in the South, you should smell the smoke before you see the shack. THAT is how you know it’s good. Prepare for the unexpected. Always have an emergency kit and some tools in your vehicle – and know how to use everything inside both. Prepare for the unexpected. Always be ready to take a turn, pull off into a parking lot, or swing a U-turn to explore something eye-catching. Make sure you have plenty of gas. Depending on where you are, you might go quite a few miles before you reach the next gas station. Always, always, ALWAYS have your camera with you. DON’T always take pictures – sometimes, the experience you have is just for you. Enjoy the open road. It’s been incredibly good to me over the past several years, and I’m sure it will be to you as well. Next Post Another Photo Giveaway! Very long, but packed full of good info. Sometimes I wish I were younger and/or more adventurous! Thank you! Yeah, it did end up being pretty long, that’s for sure! But as you say, it’s packed full of five years worth of learning and experience! It’s never too late to start adventuring! Just because you aren’t camping in the desert five miles from the nearest person doesn’t mean it isn’t an adventure!